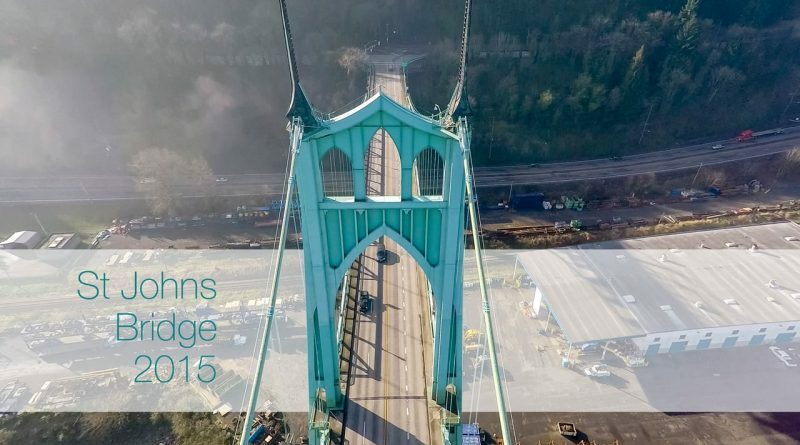 Catch a glimpse of the beautiful drone video of the Foggy Bridge Flyby captured on the St. Johns Bridge in Portland, Oregon. Nature sometimes offers a glimpse of its beauty in very simple manners that we often may neglect. But with a drone aerial view, this scenario of the beautiful Foggy Bridge Flyby looks completely different from its origin. This video of the Foggy Bridge Flyby is captured on the St. Johns Bridge in Portland, Oregon. All the credit goes to its maker, Mr. Adam Simmons, and his aerial drone. Drones are enough to provide you the best-imagined photography if you know how to use them. And being not very different from the row, this aerial drone footage has also made itself worthy. Here, in the video, Oregon City is completely covered with a light foggy weather. It feels like nature has spread a white blanket over Oregon to protect the city from any harm. The blue sky above makes the scenario more lucrative than the original. The entire video has been recorded with High Definition drone camera and to get the best view, I recommend you to stream the video on HD. The endless sky meets the river Willamette at the horizon and there you will have one of the best aerial views in the entire North America. There is a very light traffic on the bridge so Adam has managed to go all the way buzzing around it very freely. The top view also gives you a splendid experience about how it looks from the above. Very cool Adam Simmons. A flyby of St Johns bridge. Catch a glimpse of the beautiful structure with a little fog, light traffic in beautiful Portland, Oregon. Also, you will get to know about how beautifully has the bridge been engineered and it is a true example of craftsmanship. There are boats and ferries are waiting for their departure in the port and the mist covers them too. As a whole, the entire scenario up there looks like to be painted on a canvas with a very delicate hand on it. And every time it makes you wonder about how brilliant nature can end up to be.